But what is Carnival? Historically, during the six weeks of Lent, one was expected to be conservative in their behavior, which meant no dancing, no late night debauchery and most certainly no savory meats, fatty dairy, or sugar-laden sweets. But with so many enticing goods around the house, it’s almost impossible to “follow the rules”. Hence, the grand tradition of basking in pure, unadulterated gluttony, to prepare for weeks of humble piety. In the quaint northeastern village of Podence, caretos spread across the cobblestone streets looking to cause mischief. Famed for their rainbow costumes, with elaborate masks made of leather or wood, they’re impossible to miss. Imagine a muppet crossed a clown, and you’ve found one! On Fat Sunday and Shrove Tuesday, Caretos roam the remote city streets to play tricks on the populace, while targeting young women with their antics. It’s a social agreement to create impromptu fun and humor whenever the moment arises. A little further south in the northern Douro region, Lazarim follows the age-old tradition of rustic fare, bonfires, primitive masks, gender wars and a dash of social satire. Here, Carnival gets a much earlier start on the party planning, equalling five weeks in total. 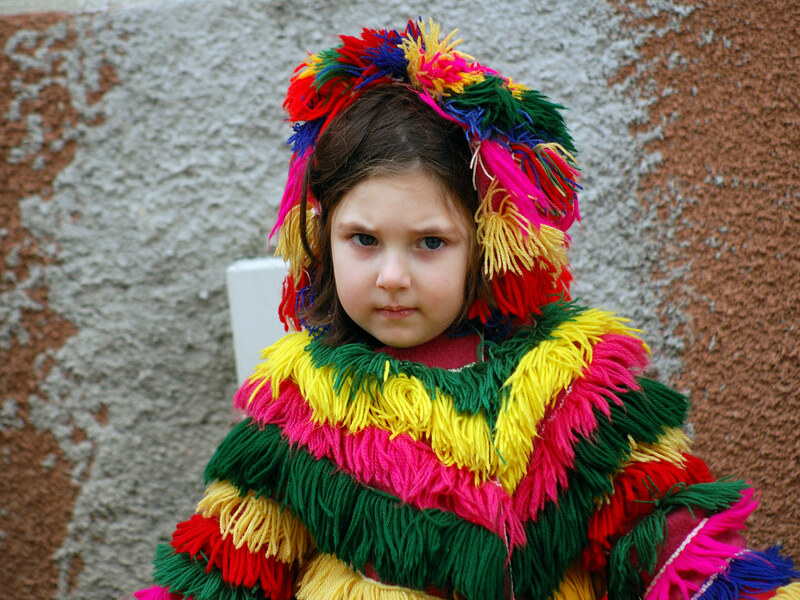 Just an hour north of Lisbon in Torres Vedras, you’ll find what is known to be the most traditional Carnival celebration in Portugal. Here they’ve kept the original practices that were set in place in the thirteen century despite a brief break from 1937 (due to World War II) until 1948 when it was restored. This city is known for its matrafonas (men masqueraded as women) and cabeçudos (giant heads) as well as its parades that include floats and Zés Pereiras drumming groups. The festivities last five days and include an annual theme. 2015 will celebrate “Love” – appropriate timing for Valentine’s Day. In the southernmost region of the Algarve, you’ll find the oldest continuously running Carnaval in the country. Celebrating 100 years, Loulé lays claim to one impressive party! Here they flaunt parades with floats, samba groups, dancers and, the ever-present and enjoyed, giant caricatures that roam the streets. With so many different celebrations all over the country, much like Carnival in Spain, no one can see every version of Portugal’s Carnaval. 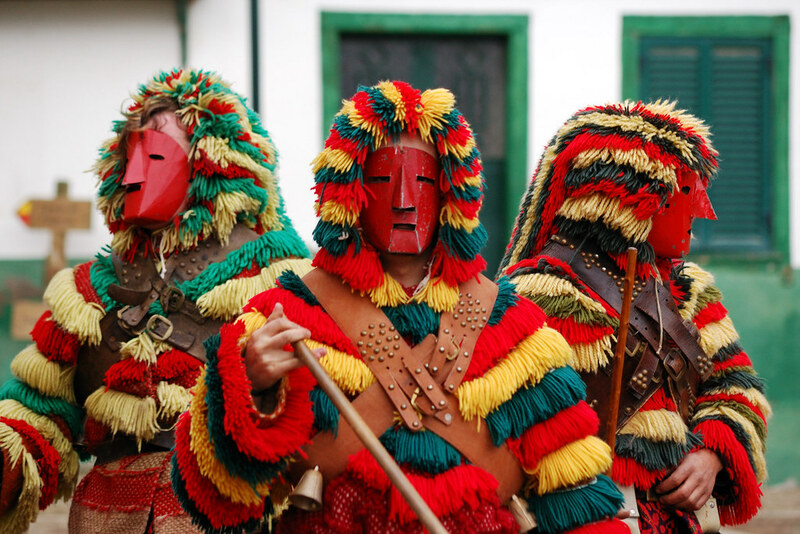 As a country full of enthusiasm for its cultural heritage, from north to south, ancient to modern I’d say it’d be a shame to not take the time to attend each celebration and raise a glass, feast and enjoy what Portugal’s Carnaval has to offer year after year!